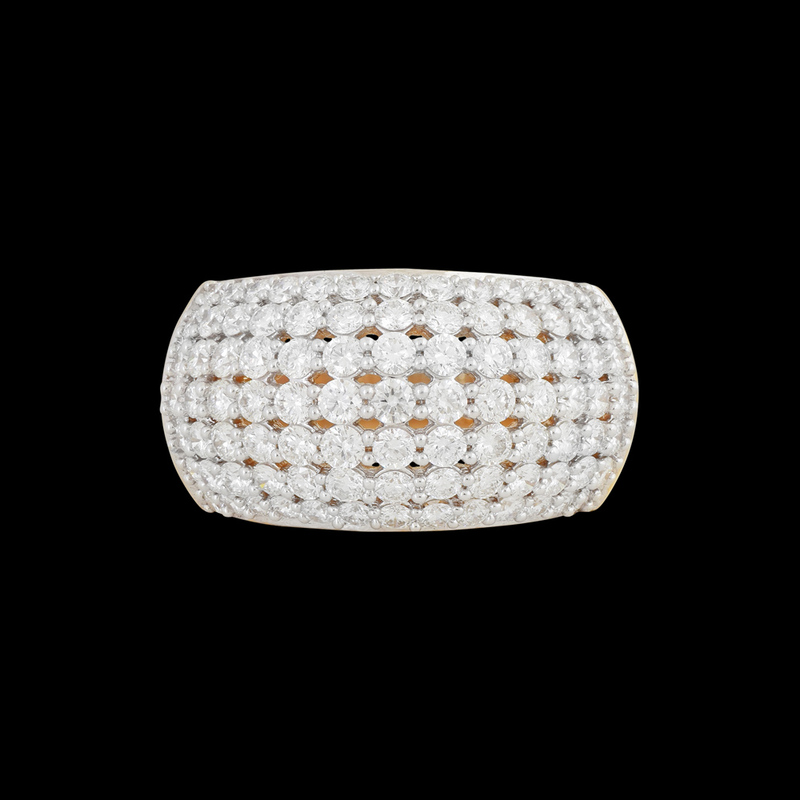 Checkered Diamond Ring illustrates a simple design that showcases a neat and chic style with absolute perfection. The velvety mat-like weave on shank gives a classy, fancy yet subtle look to the designer diamond ring. Loaded with shine and glamor, these ladies ring design is an evergreen cocktail jewelry that can never go wrong with any attire. Made with 2.35CT diamond, the ring reflects the sunshine trapped in your soul and personality.